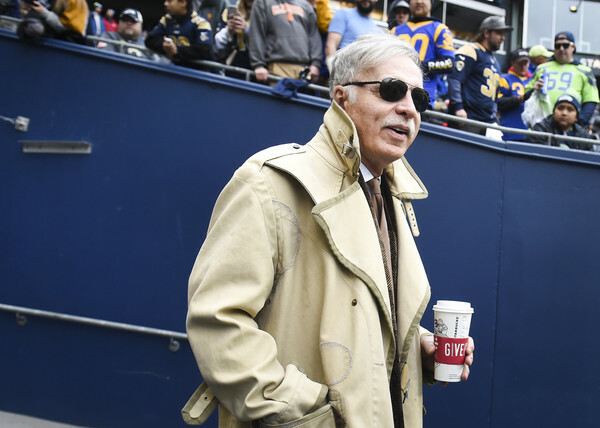 It has been confirmed on Tuesday morning that Stan Kroenke is about to take total control at Arsenal. Kroenke holds 67% of Arsenal through his company KSE, the highest shareholder and Alisher Usmanov is the second biggest shareholder at 30%. The Financial Times recently announced that Usmanov is prepared to sell off his 30% shareholding in Arsenal. Kroenke has officially offered to buyout the Russia billionaire in a deal that will value Arsenal at 1.8 billion Pounds. Kroenke will offer £550 million to buyout Usmanov’s stake. KSE released a statement which says taking the club private will enhance Arsenal's "strategy and ambitions". According to the BBC; The buy-out announcement was made to the London Stock exchange on Tuesday. Despite his shareholding, Usmanov is not part of the board or the decision-making at Arsenal. The metal magnate made a £1bn bid to buy the Emirates outfit in May 2017 but this was rejected by Kroenke. In the statement to the stock exchange, Kroenke said KSE were "moving forward with this offer, leading to 100% ownership of the club" and they "appreciate Mr Usmanov's dedication" to Arsenal. The statement added: "KSE's ambitions for the club are to see it competing consistently to win the Premier League and the Champions League, as well as the major trophies in the women's senior game and at youth level." KSE said that under "its stewardship since 2011 the club has invested in major transfers, player contracts, analytics, senior non-playing football management employees" and it "expects the club to build on those investments". Kroenke will be raising the capital to take control of the club with £45m of his own money and borrowing £557m, which he says will not be against the club. "The offer is not being funded by way of any debt finance (bank loans, payment in kind loans or other debt or quasi debt interest bearing obligations) for which the payment of interest on, repayment of, or security for any liability (contingent or otherwise) will depend on the business of Arsenal," said the statement. Arsenal have a new manager in charge this season after Unai Emery took over from Arsene Wenger, who had been Gunners boss for 22 years. In Wenger's final season, Arsenal finished sixth in the Premier League as they missed out on the Champions League but qualified for the group stages of the Europa League. The Gunners start their Premier League campaign against champions Manchester City on Sunday.